Running and managing your own independent sportsbook as a private bookie can be hard work, especially this time of the year with so much betting action on the board. That is why choosing the right Pay Per Head site for all your online bookie software solutions is one of the most important business decisions you will have to make. Every price per head shop in the online sports betting industry offers software solutions for the administrative end of your bookie business, but do not get lulled into the belief that all PPH services are created equal. You should also avoid shopping for a software provider strictly on the weekly price per head fee they charge for each of your active betting customers. You need to do your homework to find one that does meet all your business needs at a price that you can afford. One of the biggest features that all the top Pay Per Head sites offer is the ability to set up individual account profiles for each of your sports betting cliental. It is important to get a sample snapshot of their account profile page to make sure it has the capability to record and store all the information you need to properly run your business. Customers are the life blood of any business and the more analytical data you can access to service their account, the better you will become at meeting their individual needs. You also need the ability to set any individual credit and betting limits with these profiles to protect your own financial interests. Your price per head provider has gone to great lengths and expense to develop the software solutions that will help you build a long-term bookie business that can provide a profitable return on investment year after year. They are there to give you the business tools you need to successfully run and manage your own book, but it is still up you as the business owner to make sure that you keep your customer profiles up to date with the most accurate information possible. The great thing about PPH software is that it is designed to track and record each of your betting customer’s online activity. You can create a very accurate picture of their overall betting habits as well as one for how they bet on each individual sport. In the same vein, you can also put together a concise marketing plan to enhance their current needs while also trying to expand your offerings to create additional betting opportunities. 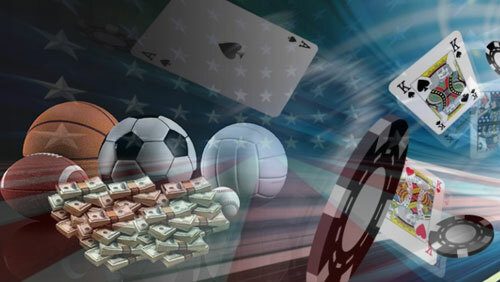 Throughout this whole process, it is extremely important to understand that your online betting solutions software is there to provide the necessary information on an account by account basis through the various business analysis reports it offers. You still need to take the time to access the proper reports, study the patterns, trends and overall results to formulate the proper plans moving forward. If you are constantly letting opportunities slip through the cracks by failing to utilize this vast array of available account information, that is on you as a business owner and not the Pay Per Head site you employ. If for some reason you do not have access to all the account by account information you need, then it could be time to start shopping for a new price per head software provider. 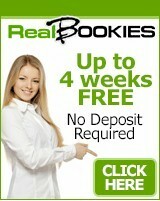 Too many private bookies get caught up with working in the business and not on it. You still need to set aside adequate time to tend to the analytical end of things. Business reports do not run themselves and they do not analyze the information needed to make the proper decisions every private bookie has to make on a regular basis.